GOOD AFTERNOON!!! WHAT A BEAUTIFUL DAY.....I HOPE YOU GET OUT AND ENJOY THE NICE WEATHER WE HAVE BEEN HAVING. BE SURE TO EMAIL TOM AT trking1960@gmail.com to view any listings. 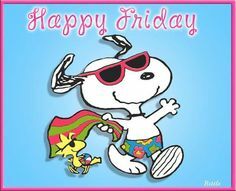 HAPPY FRIDAY TO ALL OUR FRIENDS AND CLIENTS. BE SURE TO EMAIL TOM @ trking1960@gmail.com for all showings or use showing time. HAVE A GREAT WEEKEND!!! GOOD MORNING AND HAPPY THURSDAY TO ALL OUR FRIENDS AND CLIENTS!!! BE SURE TO STOP BY OUR OFFICE AND CHECK OUT WHAT'S NEW FOR JULY. LET ONE OF OUR EXPERIENCED REALTORS ASSIST YOU IN FINDING YOUR DREAM HOME!!! GOOD MORNING AND HAPPY THURSDAY!!! TOM IS IN THE OFFICE TODAY AND WOULD BE PLEASED TO ASSIST YOU WITH ALL YOUR REAL ESTATE NEEDS.....STOP BY OUR OFFICE TODAY!! !